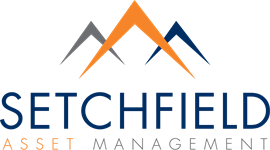 We at Setchfield Asset Management desire to know and understand your financial objectives and then provide you with the highest quality of information, service, and products to help you reach your goals. Our commitment to our clients is based on the relationship we form with them, both professionally, and personally. We provide frequent, consistent contact with our clients to educate and inform them, so that proper decisions can be made going forth. We engage with our clients on a regular basis as a result of the numerous social events we host during the year. We offer all of our knowledge and experience to keep our clients focused on a disciplined approach to realizing their dreams.